Much of the work the Forest Hill Society does is very visible — especially the flowers that pervade the town centre in the summer — but there is a lot more that goes on throughout the year behind the scenes that is not visible. The Forest Hill Society lobbies on your behalf on a number of issues, for which we try to keep you updated on their outcomes. Two of the big issues we are wrestling with at the moment are the resolution of poor-quality rail services and achieving much needed improvements to our town centre and the high street. Rail service improvementsSouthern train services to, and particularly from, London Bridge station have been atrocious recently. They started getting worse in the summer and reached a new low in January 2015 with their new timetable. During January, Southern had cancelled half of their evening peak services from London Bridge to Forest Hill; this is completely unacceptable and, even now, the trains that do run are running late and often pass through South London without stopping. Knock-on effects of this disgraceful performance are that London Overground trains have become seriously overcrowded and their punctuality has been the worst on record. On behalf of passengers using Forest Hill and Honor Oak Park stations, the Forest Hill Society has been transmitting a clear message of dissatisfaction to the train companies, Transport for London (TfL), Lewisham Council, Jim Dowd MP, London TravelWatch, and others. We have also made it clear that we expect our train services to be reinstated as soon as possible and for Network Rail and the operating companies to be called to account for their appalling lack of management. In the longer term, we also hope to influence the outcomes of rail projects — including bringing the Bakerloo line to South East London and lobbying for Thameslink trains to stop at South London stations, at least during the evenings and weekends when capacity may allow. In addition, we are calling for more evening services on southbound Overground and Southern lines to Forest Hill. Town centre regenerationTrains have always been something that the Forest Hill Society has campaigned about, ever since the Society’s first meeting in 2006. But more recently we have turned our attention to the much harder problem of town centre regeneration. Over the last few years, we have taken action to improve the visual appeal of the town centre by planting flowers around Forest Hill station and, through the Edible High Road initiative, displaying large-potted flowers up and down the high street; setting up a monthly Forest Hill Food Fair between 2012-2013, before it was replaced by a weekly market at Horniman Gardens; and arranging for two boarded-up shop fronts to get painted to turn them from eyesores into works of art. Over £750k to revitalise Dartmouth RoadLast July, we ran a Town Centre Design Charette (or workshop), which helped to re-focus our objectives for improving the town centre. 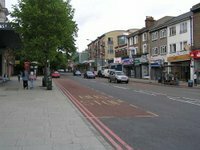 In the short term, we know that improvements will be made to Dartmouth Road courtesy of two sources of funding: £650k from TfL to primarily improve the pavements, which will make it a better place to shop; and £113k in regeneration funding from the GLA’s High Street Fund — awarded in early March for a bid developed by SEE3, V22, Forest Hill Society, and Lewisham Council — to enable some additional landscaping work to take place between the Library, Louise House, and the Pools complex, which will create another open civic space on the edge of the town centre. However, this is only a small step towards fulfilling more ambitious goals. Other potential improvementsTwo potential projects that stand out as great opportunities for regeneration involve pedestrianisation, for which we received good feedback at last year’s design workshop: the pedestrianisation of Perry Vale between the South Circular and Waldram Place (from E.J. Carpets to Distinguish Doors); and the pedestrianisation of the part of Forest Hill station’s car park closest to WH Smith to create a better focal point for, and perhaps ‘gateway’ to, Forest Hill. With both of these projects, we will need to work with the Council and other parties to see how feasible these schemes could be. In the meantime, lobbying efforts have been undertaken by the Forest Hill Society to improve the pedestrian crossing outside the station. As a result, we understand that TfL will be reviewing the crossing this year and working to improve it for pedestrians by spring 2018, which is a realistic timeframe in which to achieve something significant. We are also keen to see better use made of Perry Vale car park, which is so close to the town centre and yet so far away for shoppers — the existing 30-minute free parking isn’t so great when it takes 10 minutes to walk to Dartmouth Road and back again. Suggestions that were made at last year’s workshop were to provide access from the car park to Forest Hill station and, via a footbridge, to Clyde Vale (off Dartmouth Road). These are costly and difficult to deliver but we are keen to explore these options, along with others that might be easier to implement. 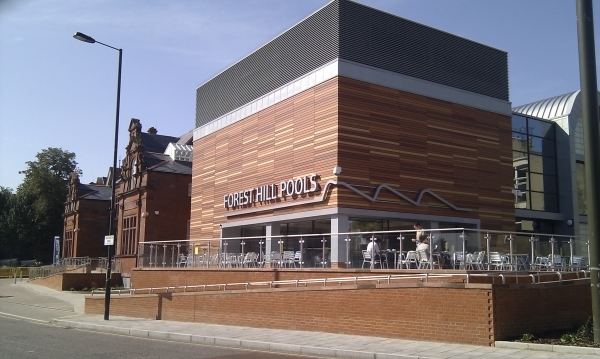 As with train service improvements, long-term planning for town centre improvements is something that requires the Forest Hill Society to make its voice heard to ensure that our local area gets the resources it needs and deserves.